On the final day of the Federal Way Sectionals meet, 2 more meet records were taken down. Along the way, 14-year-old Lucerne Bell (Fort Collins Area) earned herself her 4th top 10 time on the all-time 13-14 rankings this weekend in the 200 IM. Sarah DiMeco (Bellevue) and Ethan Heasley (Hillsboro) won their respective 1650 free races with a 16:22.92 and 15:03.24. For Heasley, he finished his race with a 1650 free meet record by 0.33 seconds. Both Dimeco and Heasley accomplished a four-event distance sweep with their wins in the 500 free, 1000 free, 1650 free, and 400 IM throughout the weekend. Tyler Lu (Seattle Metropolitan) broke the 2015 meet record in the 200 IM of 1:46.38 with a 1:45.58. Janelle Rudolph (Pro Swimming) won the 200 IM with a 1:58.43. Check 15-16 ranks. Her second victory of the night was in the 50 free with a 22.49. Caspar Corbeau (Tualatin Hills) took his second victory of the meet in the 50 free, breaking 20 seconds with a 19.85. 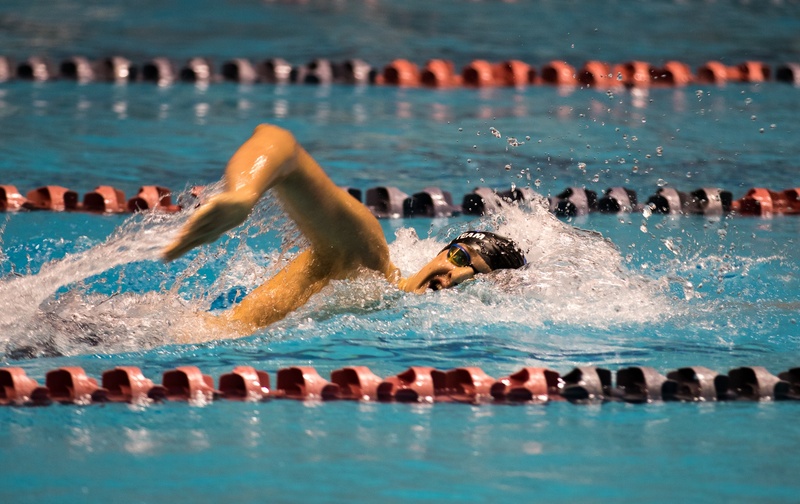 Scratching from finals was Aukai Lileikis of Iolani Swim Club, who had the fastest prelims time with a 19.83. The University of Denver Hilltoppers’ 400 medley relay of Sydney Silver (54.70), Emma Weber (1:00.89), Holley Dennis (54.65),and Anna Shaw (49.83) took the top time with a 3:40.07. Maxwell Woodbury (50.08), Brett Champlin (55.17), Ethan Heasley (47.24), and Luke Thornbrue (44.81) won the boys’ 400 medley relay with a 3:17.30, stopping the University of Denver Hilltoppers’ relay by 0.54 seconds.